Members of Comedy Sportz, a competitive improvisational group, sit attentively awaiting instructions from the referee. 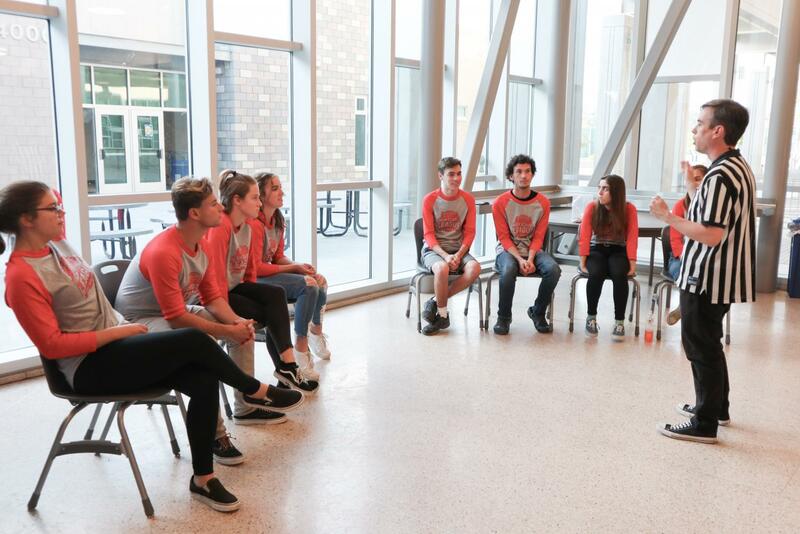 Senior Allison DelGrande created the group to share and expand her love for theatre and acting to all members of the Sage Creek community. 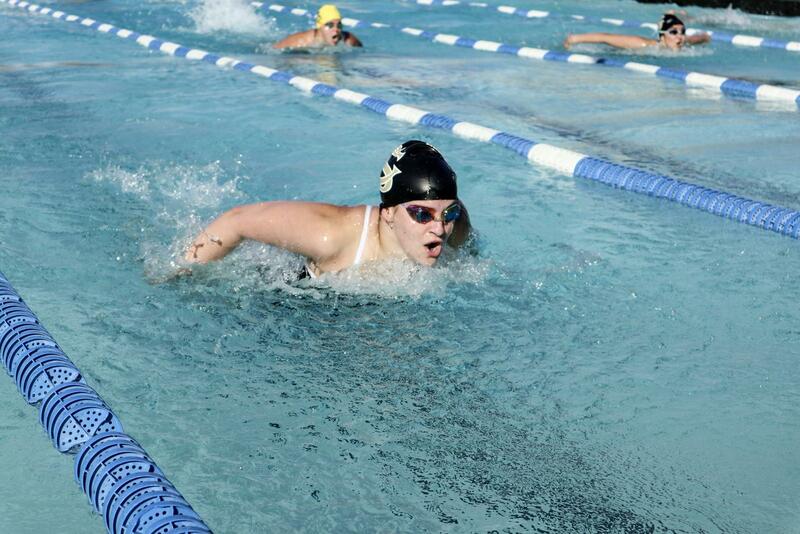 Junior Judy Deatherage competes against El Camino High School in the 100 Meter Fly. Deatherage won the race, finishing in first place. 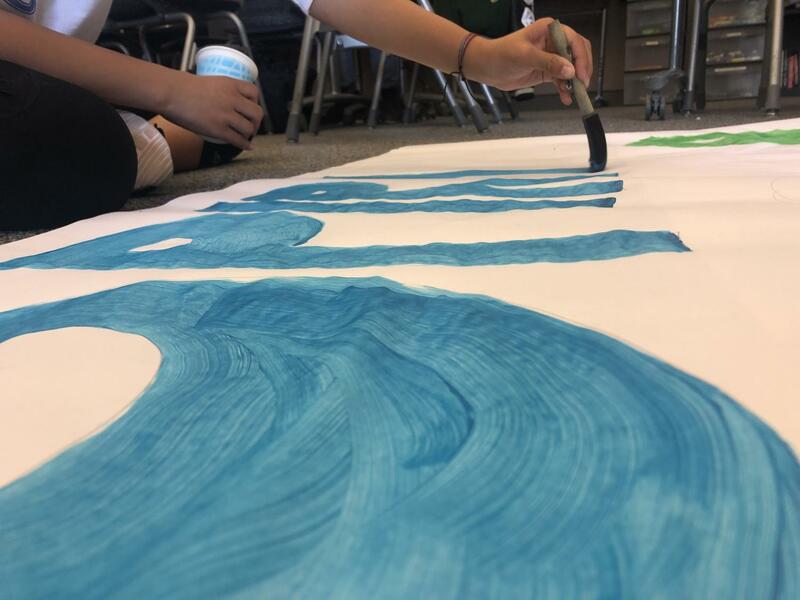 Students in ASB work on creating advertisements for the upcoming MORP spirit week and dance. The MORP Dance will take place on Friday, April 19 along with the MORP Pep Rally that will occur on Wednesday, April 17. 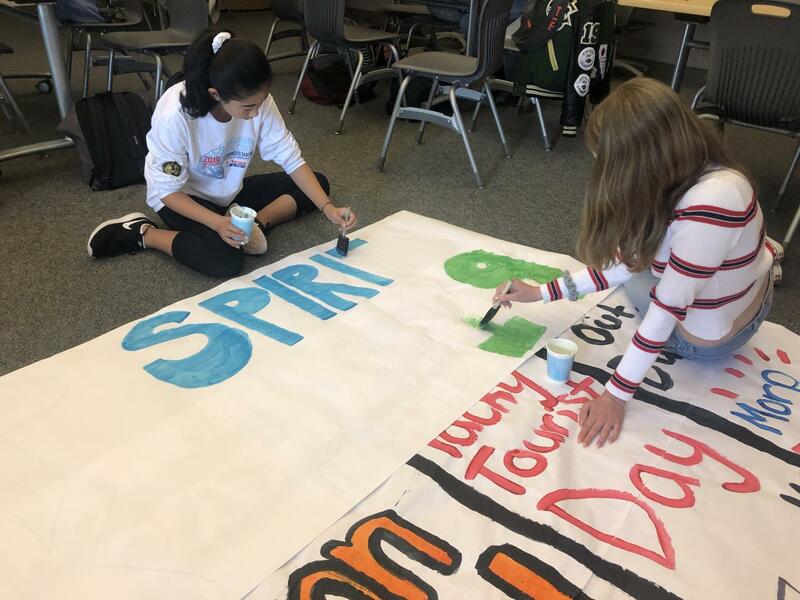 ASB Freshmen, Sophia Chen and Alyssa Hartmann, work on painting a poster for the MORP spirit week. These spirit days will take place starting on Monday, April 15 until Friday, April 19. 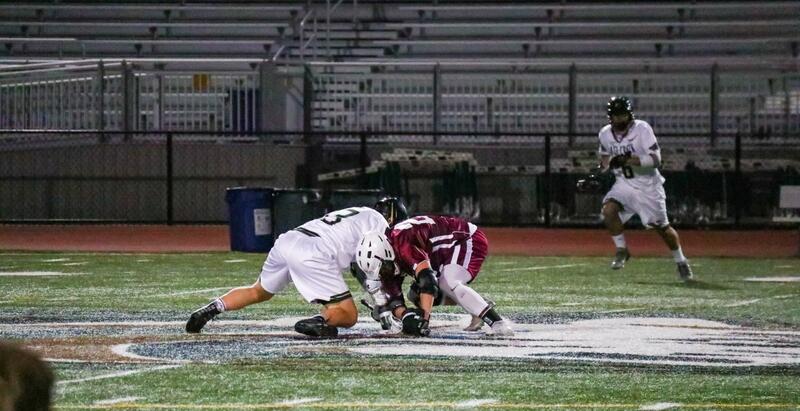 A member of Sage Creek boys lacrosse battles for possession of the ball in an intense face off with Rancho Buena Vista. Despite intense efforts from both sides, the game ended with a win for Rancho Buena Vista. 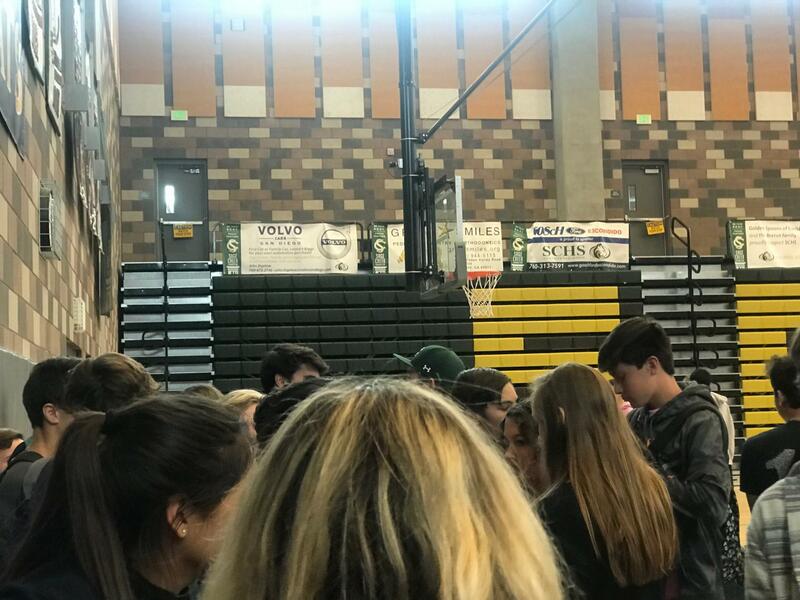 Students pack the gym to watch their friends in action. 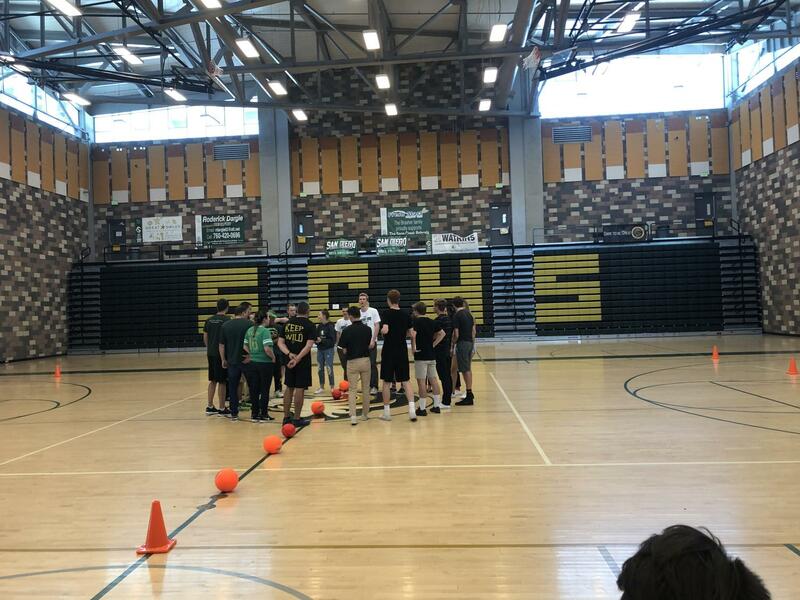 The dodgeball tournament was played during lunch this entire week. The ultimate goal of the dodgeball tournament is to play the teachers. 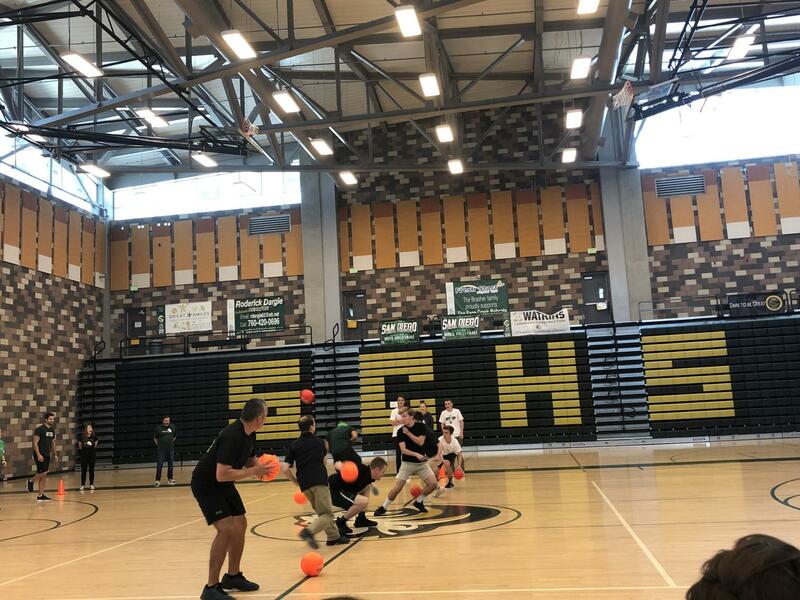 The 5 Ds got that opportunity and represented the student body by beating the teachers. Students stand huddled up with teachers as Senior Mary Feldmann explains the rules of the game. The teachers hoped to reclaim their victory as the dodgeball champions after losing to the students last year. 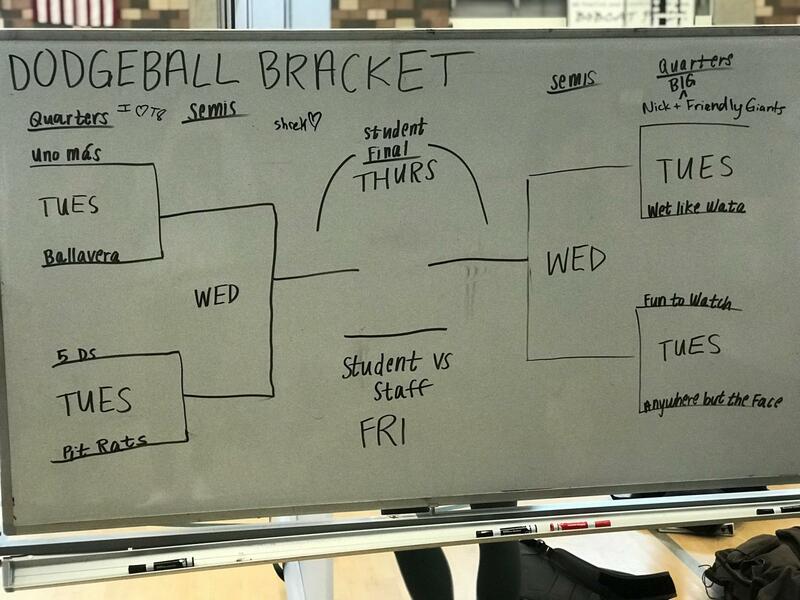 Students and teachers go head to head in the Dodgeball Championships to see who will come out on top. The students ended up dominating the teachers as they came out on top with a score of 3-0. YAAAAY!!! Swim got mentioned again! Keep this up!